The new iPhone X will probably cost 1,000 euros. Are you willing to pay that? 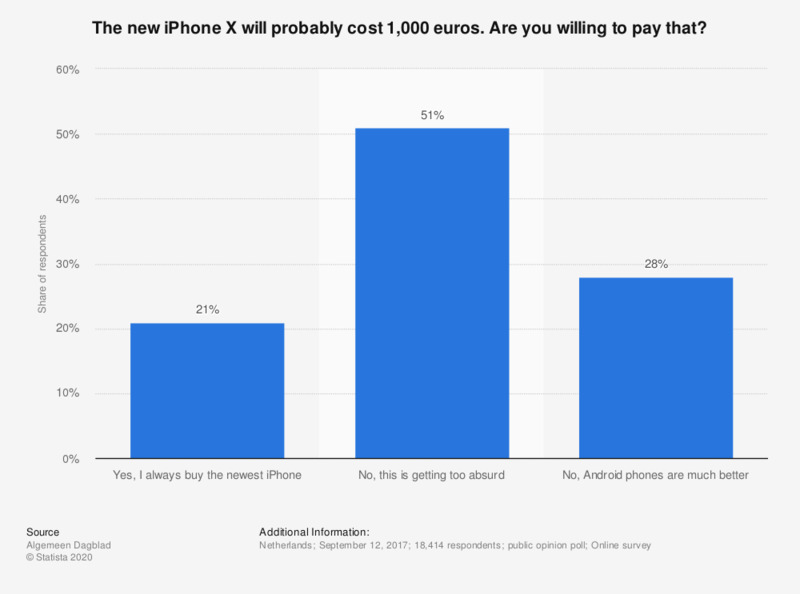 The statistic illustrates the answers to the following survey question: ''The new iPhone X will probably cost a thousand euros. Are you willing to pay that?'' As of 2017, roughly 20 percent of the respondents said to always buy the newest iPhone from Apple when it is released, even if it costs them a thousand euros. However, more than half of the respondents said the price is getting too absurd for an Apple iPhone. Statistics on "Apple products in the U.S."
How often do you use Apple Music?